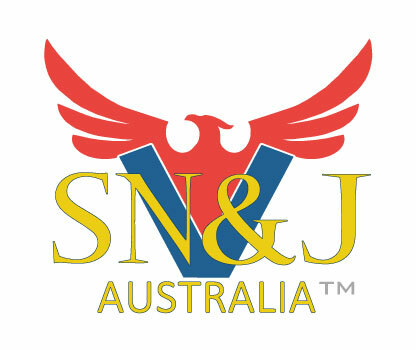 SN&J Australia operates in co-operation with The Property House. We are an intercessory service provider that can represent and advocate you with your cause. As most things revolve around money and credit, many additional disputes arise that require resolution and this is where we can help, as creditor and or debtor advocates engaging upon dispute resolution. Intercessory services (Consumer/Market & Financial Advocacy). Credit File Repair (VEDA Advantage, Dun & Bradstreet & Tasmanian Collection Services). Finance brokering (Personal secured & unsecured, Vehicle Finance & Leasing, Mortgage, Business and Commercial). Vendor & Buyer representation i.e. asset acquisition and or disposal. We are fundamentally an intercessory service and we are not necessarily confined to any sector as such. We are accredited through the financial services industry, and strategically operate within the real estate sector, allowing us access to both monetary and asset based arenas of which matters are invariably composed of one and/or both. Our financial services available to the public are not of the usual, involving recovering and salvaging people and entities alike, from a legislated applied financial services and banking system imposed upon us all, and correcting an aberration through litigated means, in essence reversing the imposition or ostracization bringing back mainstream, so that usual business and credit can once again be relied upon and applied. This is a unique and dynamic attainable mechanism which is not commonly found within the market place, and subsequently places our service within your hands as a conduit, if you will, tool to apply and orchestrate your end and with us towards your means. Dispute Resolution may take many forms for a multitude of reasons. A common engagement these days and usually initiated through Credit Repair. Credit Repair or the motivation to review our credit file is a most prudent place to start because our credit file provides an excellent snapshot of where our credit worthiness is at and worth, as our credit files also have a fluctuating credit score that is affected by our credit activity and subsequently can be improved upon review. Your Credit File retains and reflects credit history and activity in our efforts to acquire credit. Therefore there is a range of personal information relating to our credit activity and is recorded on our credit reports. Credit reports reflect past and current recordings. In the majority of cases credit reports reflect the consequence of a previous process. As advocates for your cause we can go step further with you, back to the source that has motivated your enquiry or search for assistance to begin with, and represent and dispute your discrepancy for you. You may be doing your homework and perhaps seeking assistance before you embark on your efforts, and you are simply taking precautionary steps prior to your desired endeavour, here again we may be able to help you as advocates and or as your agents. Credit Repair is the process of correcting and restoring a credit file of adverse listings. These listing can appear unfairly and are disputable and contestable, and is a common occurrence where they may be legally removed. For example – some information that can be removed ? Advantages of restoring your credit file ? Australia’s credit reporting regime is changing every day. Your credit file is therefore a most important asset and requires monitoring and management. Credit providers and financial institutions as a part of process will check on your credit file in order to ascertain your credit rating. If adverse listings are appearing on your credit file, then the likelihood of approval is considerably reduced, and if approved it may cost you thousands in extra fees and increased interest rates. Even a credit file which is not presenting any adverse listings may still reflect a poor credit rating, and there are a multitude of reasons why this peculiarity is common with many peoples credit file. Repairing and restoring your credit file can mean instant approval, with reduced interest rates, savings on upfront fees and ongoing fees, and saving you thousands. Shopping around for credit, whether it be over the phone, face to face or via the internet can prove to be very costly in terms of approval or difficult to acquire the credit you’re seeking. Activity is recorded on the credit file regardless. An innocent effort to make market comparisons may in fact prove to be detrimental. Prevention is just as important as a restorative effort, through careful and mindful approach and treatment upon a quest to obtain credit. What are Creditor Negotiations ? We can assist with creditor arrangements in secured and or unsecured credit. Seeking a suitable arrangement with creditors this can include moratorium’s i.e pausing payments for a period of time, also re-negotiating the terms of a contract and arrangement’s with creditors , including reducing interests rates; this may also coincide with credit file repairing. Brokering Services: If you think intently about it, it is the credit repair process that is in essence the credit brokering process as well. Once we engage the repair process of the credit file, this will in turn within itself, manifest the most prudent way forward in placing your application with the most appropriate lender for the credit extension that you require. Brokers cannot do this unless they provide a credit repair service, and they usually outsource this, the negative is that it is too late and the enquiry appears on the credit file as a consequence, or you provide the credit file to the broker upon your consultation. We do this in reverse in order to avoid the unnecessary and disappointing journey of receiving the bad news of a credit application being declined. We also have close working relationships with selected finance brokerages outsourcing our applicants from time to time, once we have administered your credit file, taking the gamble and risk out of the process, involved with credit applications with the credit providers. How we act as Market Advocates – Creditor and Debtor Advocates ? You may have disputes as a consumer even as a creditor. As your advocate we may represent your interests seeking amicable resolution, with the goal of making goods and services available to consumers safer, better quality, environmentally safer, and more readily available. As market advocates we not only seek to resolve disputes but also look to petition government, media activism, and include ourselves with interest groups. Buyer and or Vendor Advocates ? Through The Property House we can present and act as agents for asset acquisition and disposal, either for domestic and particularly commercial entities. This is a tailored service which particularly suits business owners involving commercial ventures, requiring a delicate / sensitive approach and management. It may involve a clean transaction or the management of a number of variables in order to achieve the aim. Your needs and preferences always maintained as the core within business approach and with execution accordingly. If my Credit File can be repaired what about my Tenancy Ledger ? Believe it or not tenancy ledgers exist and the same governing legislative acts also govern tenancy ledgers. There are a number of organisations that provide this record keeping service within Australia. With credit problems, come the ramifications to everyday life of which includes not only our every day bills but also the rent, and many thousands of people within Australia are black listed unawares, due to for example eviction. This file is separate and exclusive to your credit file; however has the potential to be repaired from unfair, contestable and disputable listings.